Stephen is a former teacher who now spends his time tutoring, finishing his PhD thesis, using his telescope when the night sky is clear and walking. 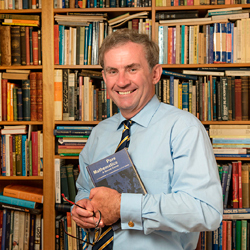 He lives at North Ryde with his wife and a library of books on Physics and Mathematics. I have had 39 years of experience in independent schools teaching Physics and Mathematics in Sydney and A Level Physics in London and have vast experience at marking examination papers at a senior level. I am a current IB Physics examiner in HL paper 2, and a Cambridge International Education Assessment specialist. I also prepare students for the Oxford University Physics Aptitude Test (PAT). I am currently working towards the degree of Doctor of Philosophy at Macquarie University. I also make astrometric observations of comets and near Earth asteroids which are published under observatory code 423 North Ryde by the International Astronomical Union in the Minor Planet Circulars. Details of my research can be found at the Physics and Astronomy home page.